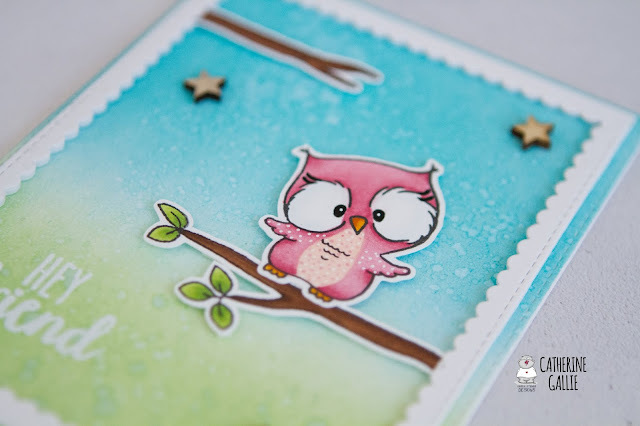 I'm popping in today to share a card with you using another adorable owl from the 'owl rather be with you' stamp set. 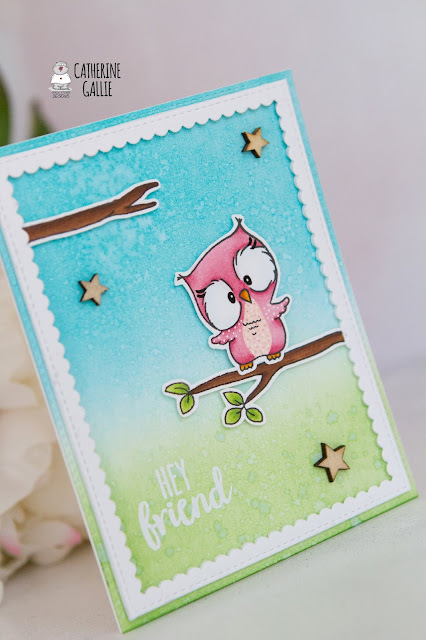 I decided to do something different and colour this sweet little owl in pink! I coloured her in using Copic markers and I made her extra girly by adding some long lashes with a black gel pen. I used the same pen to darken her eyes and then a white gel pen for the little dot on top. I also used the white gel pen to add some detail to her wings. The branches were coloured using Copic markers also. Once these were coloured, I cut them out using my Scan n Cut. 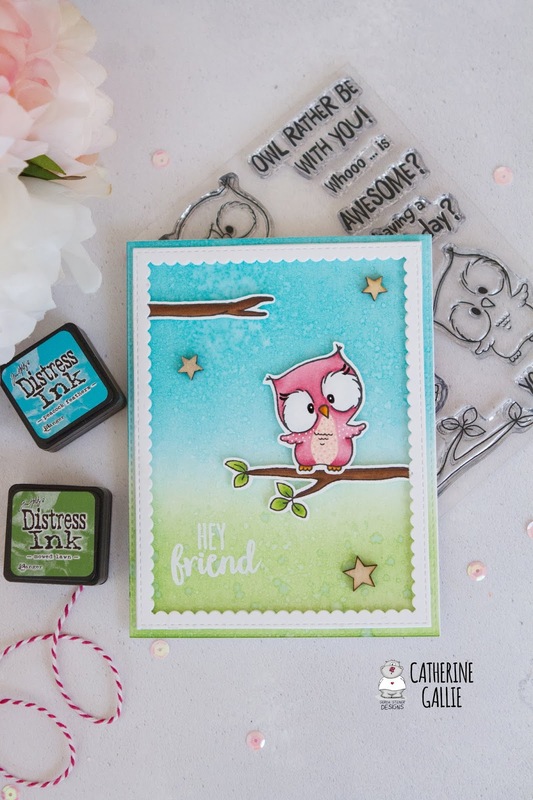 There are matching dies available in the store though! You can find them here. Once those images were ready I set them aside to work on the rest of the card. Using distress inks, I blended the background that you see here and spritzed some water onto it and soaked it up with paper towel. The colours I used are Mowed Lawn and Peacock Feathers. Once that was completely dry, I heat embossed the sentiment from the 'Foxes' stamp set. I die cut it to give it a stitched edge and then I die cut a scalloped frame with white card stock. Next, the frame and the images were adhered to the background using foam for dimension. To finish off, I added some little wooden stars for decoration. I hope you like it!